Keeping your space neat and tidy is always important but when you are on the road having adventures tracking dirt seems to be a part of the lifestyle. To make sure things don’t become overwhelming you need to keep cleaning supplies handy. 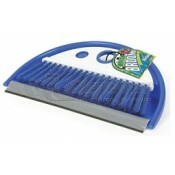 As always it is imperative to keep cleaning supplies compact so you have room for everything else you need. 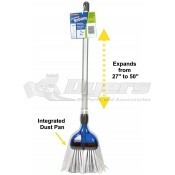 At Dyersonline.com we cater to your needs with various collapsible or compact brooms and dustpans. 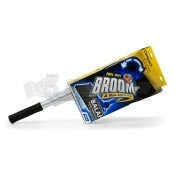 This way you can tuck that broom and dustpan anywhere and have it accessible when an unexpected mess crops up. 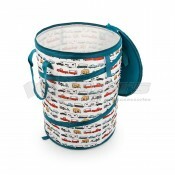 Another convenient product we carry is the wall mounted trash can so you don’t have to worry about it slipping and sliding while you are on the move. This has happened too many of us on the road, a particularly big pothole rocks your RV and next thing you know the trash can slides into the opposite wall, tipping over and there is trash everywhere. Now, instead of relaxing and enjoying the sights on your drive you are stuck cleaning who knows what off the floor and re-bagging all the trash. 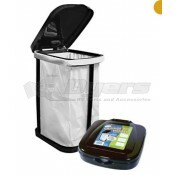 Don’t let it happen again with the wall mount trash can your trash will stay in its place until you are ready to throw it out. Of course if you are looking for something a little bigger the stainless steel one gallon trash can is also a great option. 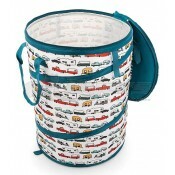 The lid seals tightly to keep odors in and its heavy base will prevent it from easily tipping over on the road. No need to worry about throwing the trash out at every pause on the road because the trash is over flowing, or worse is starting to smell. 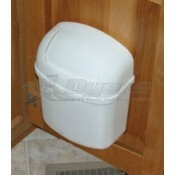 A gallon trash can will give you plenty of room for all your waste and keep your interior smelling fresh. 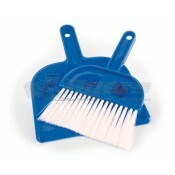 At Dyersonline.com we have all the items you need to make life easier.